New findings from three political scientists which are revealed in today’s Observer suggests that the main parties at Westminster are selling peerages – that it is no longer something many suspect occurs, but is something of a statistical fact. Under the Honours (Prevention of Abuses) Act 1925 this activity is also illegal. Given the drip of stories around sleaze and hollow commitments made to clean up politics over recent decades, it should be little wonder that there is a low level of public trust in government and politicians. Its corrosive long term effect on society and the impact of big money in politics however should concern us all. We can’t build a country of active citizens if people don’t engage in politics; we will struggle to forge commitment to moral values that emphasise the common good if political leaders live otherwise; the quality of our politicians will suffer if those remaining in the talent pool are just after a career. And on the left we will struggle to counter the current stagnation in wages and proceeds of growth accruing to asset owners if big money continues to buy influence – the devolution of power and wealth surely go hand in hand. If the political class is to build and sustain greater trust it has to change how Peers are appointed (the House of Lords Appointment Commission has clearly failed), but it must also be open about the consequences of the current system. As long as selecting Peers rests in the hands of a select few then the appointment process will remain open to abuse and patronage. As long as parties go touting for big donations they will remain open to the influence of big money. The latest scandal provides an obvious opportunity to complete the process of centuries of democratic reform by finally making the second chamber elected. Parties should also receive greater state funding, because our democracy is worth it. Some voters are sceptical of greater state funding of Parties, but this is in part because the standing of political parties is so low that they are considered an inappropriate source of public funds. But we cannot allow this misguided and ultimately contradictory perspective to dictate public policy; otherwise it will be only a matter of time until future scandal fuels more public disengagement. Forming a constitutional convention, like that which preceded the creation of the Scottish Parliament, could be very helpful – but nothing must be allowed to yet again kick reform of the Lords into the long grass, and such reform provides a useful cause to bring together all left-wing parties. Political reform is sorely needed, it will lead to greater reforms (political and economic), and can help give the left a common purpose. It should be high on the left’s political agenda in the next Parliament, which looks very likely to be hung. Citizens are not active in engaging with politics and have not been for decades now. It might be nice if the Electoral Reform Society kept up with public perceptions. their best chance in UK history. gaining not even a mere 400 votes. But Tories, UKIP, Labour and Lib Dem are all equally suffering this candidate attrition by scandals. We are in full electioneering mode. 1 per cent with income above £125,000 a year. (with the largest number of marginals with slim majoritie). with the most slim Tory and Lib Dem marginals, helping MK gain Cornish trade union campaign funds. Running over 124 MP candidates and so in 1/6th of the seats, which should give the right of fair media coverage, but gaining none. Most members of TUSC are ex Labour who left or were expelled from the Labour party for going against Labour’s austerity policies, or trade union officials also anti-austerity cuts. The Lib Dems could assist TUSC by gaining an equal amount of donations from the trade unions to TUSC, to that gained by Labour’s campaign fund. At least Lib Dems would be ensured of where donations are coming from. The Celt parties already ensure supply and confidence coalition partners. The public would not care less if the House of Lords was abolished. Easy to put forward over 900 less politicians on expenses, with a champagne budget. The public in London – where this upper-house of parliament is located – are suffering entire housing association estates being sold off to developers planning to build luxury flats, and being re-housed in Birmingham or Stoke-on-Trent, where work is harder to come by. So evictions are not only because of the hated Bedroom Tax, with upwards of 4000 evictions a year (and therefore cost to cash strapped councils), but whole housing estates in London more and more. “Political reform is sorely needed, it will lead to greater reforms (political and economic), and can help give the left a common purpose. It should be high on the left’s political agenda in the next Parliament, which looks very likely to be hung”. The left, And the right, Have a common purpose, and when that purpose comes light, they will both be hung. In the web of their own deceit. prevalent electronic fraud; 07 end winner take all plurality voting and institute new voting system (e.g. instant run-off or range voting); and 08 all legislation to be posted in advance so citizens may instruct their putative representatives on how to vote. Readers can learn more at http://tinyurl.com/OpenPower. 2. Gerrymandering can be achieved by over-tight drawing. 3. Equal regardless of prior support? Can’t agree. Also helps the existing parties too much. 6. You’re not aware of how votes are counted in the UK then. 7. IRV and Range have singificant flaws, support the existing parties the most of any proportional system and are ideal for tactical voting. Other systems like MMP have significantly more support in the UK. 8. You’re not aware of the UK system, again, and indeed don’t appear to be aware of representative democracy. The ERS campaigned for AV and now wants IRV, they’re a hindrance more than a help, tbh. Oh right, only your far right are good. Lords reform is a diversion. Recall is a diversion. State funding is a diversion. Lots of diversions. They can be fixed later. What matters is voting reform for the commons. IRV has little to no support, systems like MMP did far, far better in polling before the AV referendum. A simple, though imperfect, solution lies in adopting AV for the lower house. This would require MPs to obtain at least the aquiescence of 51% of their electorate to get the gig, and end 35% strategies as political parties have to widen their appeal beyond their comfort zone. The next big gain would be the first preference votes which could be used to introduce an element of PR by populating the upper house on the basis of first preferences cast – though I’ve always distrusted party lists as candidates are answerable to the man who writes the list and not the “demos”. The issue of split legitimacy could be addressed by requiring a supermajority in the upper house for Government business to fail a second time – which would then also become a confidence vote. The issue of finance could also be addressed by attaching it to first preferences, so I could give my money and maybe a seat in the Lords to the Monster Raving Looney Party and then use my second preference to pick the least worst of the main contenders for office: even better if there was a box to withold my share altogether if I wished. Every vote would count, even in a “safe seat”, and parties would be incentivised to a) engage voters to vote and b) fight for the first preference, instead of going for “who gets most seconds”. And if the people choose not to financially support our political parties? Well who says they have a divine right to exist? If they no longer have legitimacy they should fade away and make room for new ones. Not a perfect solution in the view of many no doubt, but you could grow old and die waiting for that – as could our democracy. I have heard the “upper house” one before, but I don’t think it’s a good idea (I did at one point, then changed my mind). You really can’t use first preferences under AV for that, though, or you’ll end up with a lot of people just voting once – making it far more like FPTP for local seats. If you then cripple the second house, you’ve crippled the PR element. You end up with pretty much today’s situation under your mix of ideas. Parties will just go “don’t waste your first preference on gimmick parties”…and they’d actually be right to do so! No, sorry, I support PR – MMP – for the commons. I agree party lists are not ideal, but to be entirely honest the core party people are going to be in safe seats anyway under either system, and I’d rather have the core people who will be busy running the party and paying little attention to their constituents…not have constituents. Basically, Parties should be distinctive. They should not be afraid to have strong policies which offend some voters. And they should, in the end, not be penalised too heavily for that. > IRV and Range have singificant flaws, support the existing parties the most of any proportional system and are ideal for tactical voting. These are common naive intuition-based fallacies. Score Voting (aka Range Voting) is actually extremely resistant to tactical behavior. It improves voter satisfaction drastically. It is very doubtful that proportional representation can compare to that, although we have no way to calculate Bayesian regret for multi-winner systems. Additionally, Score Voting may be a necessary *prerequisite* to PR, particularly in countries dominated by Plurality Voting. Score voting also has a proportional multi-winner form that is arguably superior to MMP. Bear in mind that MMP still uses the horrendously bad Plurality Voting for selecting the local representatives. Range voting can be of course be gamed tactically using mix/max rather than intermediate scores, and anyone not using the same is disadvantaged. Moreover, Range Voting simply is not proportional and would trend towards two parties even more than FPTP. Really, anyone who claims that we need a “prerequisite”, when plenty of countries have gone to PR, is simply anti-change. RRV is completely unproven, no country uses it, and it almost demands the usage of highest/lowest scoring. Plurality voting for local seats under MMP keeps the constituency-voter link (which is important in the UK), but parties over the threshold of list votes are reprisented proportionately – ensuring that the drawbacks of plurality voting are negated. You’re telling scare stories. Range voting might have some advantages compared to STV, but I don’t advocate STV. Each to their own – I’m wedded to the idea of MPs having a distinct electorate who can sack them. What’s cerain is that the status quo can not stand. I’m not. The reality is that the blind ideologically-based voting in safe seats mean it’s only theoretical that they can be sacked anyway! I’d rather have parties lose out entirely on list votes if they can’t get 4% of them – and I point to the fate of PASOK as what awaits Labour under MMP (and cry me a river for them!). Recall is a diversion from reforming the voting system in the commons, no more. Lord Levy awaits your pleasure. Ah, that’s who you are! Which brings us back to AV – if 40% think he’s the best thing since sliced bread he’s home and hosed under FPTP; but that leaves 60% to eventually combine behind an opponent under AV – and he’s history. There are just so many issues of concern for any aspirations towards democracy, that it is difficult to imagine where we could even begin. The establishment appears at times so confident- almost oblivious- that this continuation of current misrule will continue, that UK democracy has become almost an open joke. Ongoing public disillusionment is everwhere; the newspapers, the wider media (in so far as democracy is honestly represented) neighbours, work colleagues, friends, family, everywhere we are settling for so very little. The mere existence of a second chamber must surely be symbolic of an ongoing contempt for the merest ghost of any truer democracy. Sure, we could spend time window dressing, by battling for reform of The House of Lords, but when this battle is over where next? The more democratic the election candidate, the less likely he or she is to attain any sort of platforn whatsoever so, in May, an ever-decreasing voting electorate will probably be voting with diminishing hope for any real change. Or have I missed something? Plenty of democracies have two chambers, so I don’t see your point there. And you’re missing voting reform. And more voters thinking “they’re not terrible” is a bad thing? Here’s me thought it was the will of the people: you know, democracy and all that. AV was soundly rejected, I remind you. There was and is far more support for PR. Come off it. Yes, Unicameral legislatures are more common, but in that case you need another form of check and balance – and the only ones which seems to work are either an independent military (unacceptable to Western democracy) or a strong constitution (which is even riper for abuse by the rich). You absolutely CAN’T have a Unicameral legislature and Parliamentary Sovereignty…not if things are not to go off track very badly. Pehaps you have more faith in achieving any form of political or voting reform, than I do. Currently ‘our’ second chamber has precious little in common with any aspect of democracy. Also regardless of what various government representatives might be saying in public, Europe has surely and steadily been ushering in an ever greater and disparate division of wealth, very much in the interests of a faceless 1%, and shrinking. Grasping at scant straws, we might look towards one of the better Scandanavian models. As you can see, Range voting and its variants outperform other systems when dealing with this problem. You also claim that RV would tend towards two parties even quicker? Doubtful. With range, voters aren’t punished for having choices. You can have twenty candidates and it is still well behaved, unlike many other systems which suffer from vote splitting, teaming, cloning, etc…We would field more candidates under range. You mean I support it, and am working for it? Yes. Either you do or you don’t, afaik. 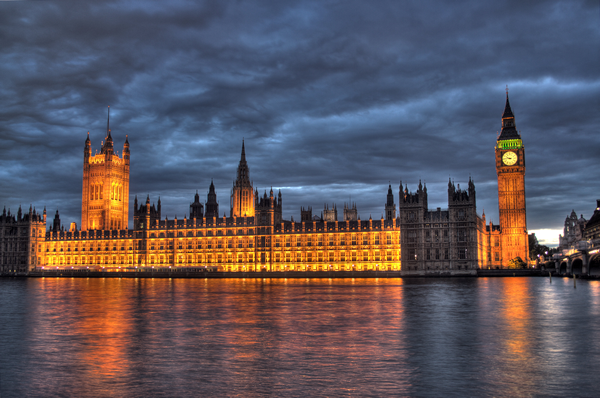 The Lords is a distraction from the important bit – changing the voting system for the commons. And that’s because of Capitalism. Which we can do something about /here/ IF we get voting reform and hence some left wingers in Parliament! MMP for instance isn’t – it’s counter-productive in all cases there for list votes, for instance. Range voting again is very vulnerable to 1/0 gaming which is bad for those using more moderate values. Meanwhile, while Range voting might “outperform” other single-winner systems, that still makes it dramatically inferior to PR as far as I’m concerned. And the current barrier to standing GE candidates in the UK is the fee..
And I’ll keep trying for those left wingers in parliament. Join me in trying for that, or don’t! Who are these mysterious left-wingers, why are they so very silent? What have they achieved? I think I wasn’t really clear. I wasn’t arguing PR vs single winner, as that is certainly an open question. If you are set on PR, you really should be aware of the parts of those systems that use known bad methods. “MMP still uses the horrendously bad Plurality Voting for selecting the local representatives.” I think it would be smart to replace that plurality vote with a better system. Out of single winner methods, I think range is the best candidate for such a replacement, especially since it reacts mildly to strategy compared to other systems. > Range voting can be of course be gamed tactically using mix/max rather than intermediate scores, and anyone not using the same is disadvantaged. This is a common fallacy, addressed here. Then you can keep opposing reform, as you evidently do, to ensure the left don’t have a voice. Up to you! I certainly don’t oppose reform, I spent several decades fighting for change, and grew tired of the constant disappointment these efforts brought. The entrenchment of the state is far greater than you pretend or believe. I would like to see nothing more than serious reform of the state, but what I believe is being proposed here is tantamount to, ‘arranging deckchairs.’ The sad fact that people like Gove, Hunt, Osborne, and their ilk can pretend to represent the interests of ordinary people, and actually get elected, is surely demonstrative of the volume of misinformation pumped daily into the aether. split in your study was designed for minimum impact! Moreover, it’s trying to solve a problem MMP already mitigates against. I’m going to roll my eyes at your attitude. Things were not as bad before. And trying to persuade satisfied people that change is needed is hard. Moreover, even half a decade ago the channels of communication were not as broad. The internet has democratised access to information. Since you didn’t read that link last time, I’ll try to make a simple explanation of the fallacy you’re making. Suppose we have game #1, where all players receive $5, and there’s no way to cheat. Now suppose we have activity #2, where honest players receive $6, and cheaters receive $7. Your flawed logic would say that game #1 is preferable to the honest players. The fallacy is that you’re comparing honest players to cheaters *within the same system*, when what you want to be doing is comparing any given player *to himself in the two alternative systems*. The goal of a voting system is to maximize net utility. Which Score Voting does. And if enough voters are honest, the average utility of the HONEST voters ends up being better than with Approval Voting. Voting theory is amazing complex and counterintuitive. You should start by reading “Gaming the Vote” before you trust your intuition. Rolling one’s eyes is always a positive move. You see, I would never stoop to such. In reality, we are probably not so very far apart in our political ideals. I’m just older and more jaded than you are. You should concentrate your fire more carefully! I am. You seem to be opting out, so you get some mild sarcasm. So, you can moderate your sarcasm accordingly. Your talents are wasted here!